From gospel to pop to Americana, Cindy Morgan is an insightful voice across musical genres as she has grown to become one of Nashville’s acclaimed songwriters. An East Tennessee native, Morgan’s evocative melodies and brilliant songwriting have poetically and prolifically mined the depths of life and love both in her own recording and through songwriting for noteworthy artists around the globe. Nashville singer/songwriter Cindy Morgan is a two-time GRAMMY® nominee, a thirteen-time Dove winner, and a recipient of the prestigious Songwriter of the Year trophy. Morgan has 21 number one radio hits to her credit, and has penned songs for notable artists including David Archuletta, Vince Gill, India.Arie, TJ Shepherd, Rascal Flatts, Ricky Skaggs, Amy Grant, Glen Campbell, Mandisa, Natalie Grant, Michael W. Smith, Point of Grace, Brandon Heath, Britt Nicole, and Kris Allen, among many others. In 2017, Morgan’s song “Bird in a Cage” was performed by Robert Redford and Sasha Lazard in the movie Blind starring Alec Baldwin and Demi Moore. Cindy has authored three books, Barefoot on Barbed Wire (Harvest House Publishers, 2001), Dance Me Daddy (HarperCollins, 2009), and her memoir, How Could I Ask for More (Worthy Inspired, 2015) in addition to being a co-creator of the charitable Hymns for Hunger Tour, which has raised awareness and resources for hunger relief organizations across the globe. 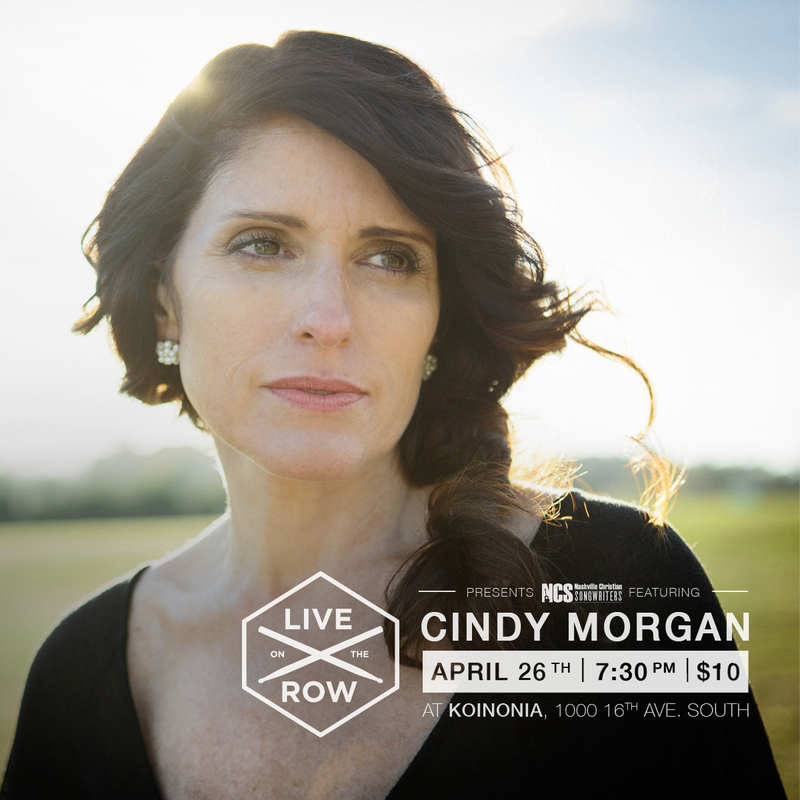 Come join us for an amazing evening of music with iconic CCM and Americana singer-songwriter Cindy Morgan with John Roberts live on world famous Music Row at the historic Koinonia Bookstore. Just bring your email receipt and have a fun evening!